On the third day, there really was gold. 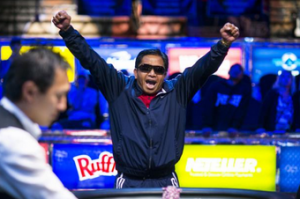 Roland Reparejo won the first bracelet of the summer at the World Series of Poker. The main stage in the Amazon Room was the actual stage for the victory. Meanwhile, the force in poker that is Vanessa Selbst has once again come into view by making it to heads-up play in Event 2. And who was that legendary player who appeared in the prestigious Event 5 field? That, young ones, was Doyle Brunson. He decided to play a little early WSOP after all, enticed by Limit 2-7 Triple Draw Lowball. Those two players started with Roland Reparejo holding 1,795,000 chips to the 735,000 of Corey Emery. And it took only six hands and 10 minutes to decide the match. Emery risked his stack with J-8, but Reparejo had A-Q. An eight and ace appeared on the flop, but nothing else changed, and Emery fell in second place. Reparejo is a poker dealer from California. 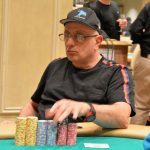 The former chef often comes to the WSOP to play the Casino Employees and Seniors events, and he is now a champion. “It’s a dream to me,” he said. Everyone was in the money at the start of Day 3 for four-handed play, and Noah Schwartz was the first to claim a $54,945 payout. Barry Hutter followed, and others who cashed included Calvin Anderson, Nick Schulman, Kevin Song, and Darren Elias. Ryan Fee exited in sixth place, at which point the final five were seated at one table. After Matt Giannetti busted in fifth, the final four started heads-up play, with Al Decarolis against Vanessa Selbst and JC Tran versus Jason Mo. Ultimately, Tran lost to Mo when A-Q fell to J-T. The other pair continued to battle back and forth until Decarolis was short and moved with A-K on a 9-high fop. Selbst had 9-8 and won with it, eliminating Decarolis in third place. Tran and Decarolis each won $290,622 for their deep runs. 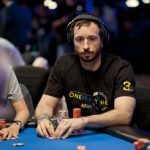 Some of the more well-known players who cashed throughout the day included AP Phahurat, Humberto Brenes, Maria Ho, Phil Laak, Jason Somerville, and Greg Merson. With the elimination of Stephen Chidwick in tenth place for $11,593, the official final table was set with Steve Billirakis in the lead with 770K chips. 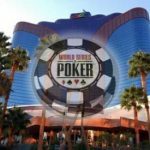 Play was quick, and the money bubble burst late into the evening hours to allow the first few rounds of payouts to begin. Players like Humberto Brenes and Amanda Baker took home $1,801 and $1,981, respectively, for their efforts. 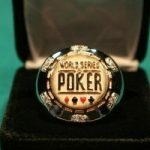 The first championship event of this WSOP offered some Lowball for a mere $10K buy-in for the 4pm event. It was destined to bring quite a few professional players to the tables, and that it did. One of them was the legendary Doyle Brunson, who first tweeted that he didn’t want to commit to a tournament and sought a good Bellagio cash game instead. However, he steered over to the Rio and entered the tournament anyway, much to the delight of poker fans and railbirds. There was no corresponding 2013 event at the championship level, so this is another first for the WSOP. Event 2 plays heads-up for the win. Event 3 will continue its final table until one player collects all the chips. Event 4 will resume and play down toward the final table. Event 5 will continue in its quest for a final table. Event 6 ($1,500 NLHE Shootout) begins at noon. Event 7 ($1,500 Seven-Card Razz) starts at 4pm.